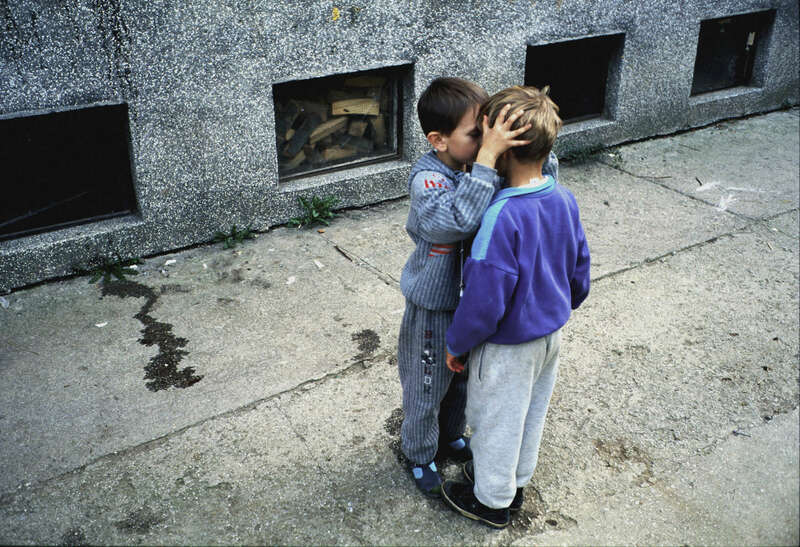 Two boys on a sidewalk in a suburb of Sarajevo are among the thousands of refugees who fled to the city at the end of the war, after the massacre of some 7,000 to 8,000 Muslim men and boys at the hands of Bosnian Serb forces. The fathers of both boys were killed in the massacre. October 2000.